Govt job aspirants of North East India now have handful of opportunities. 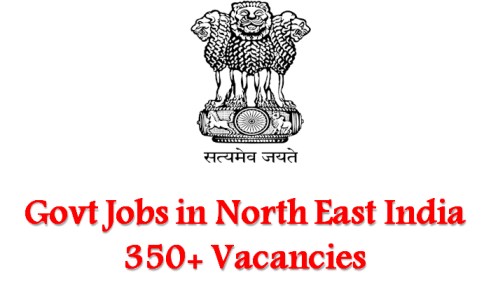 Near about 350 vacancies have been notified by different government functioning bodies in the north eastern region. Job seekers should therefore go through the details thoroughly and apply before the last date. The North eastern most region of the country comprises of 07 States: Assam, Manipur, Meghalaya, Mizoram, Nagaland, Tripura and Sikkim. Currently, more than 350 jobs are available for graduates, intermediates and matriculates in all the above mentioned States. The biggest ongoing recruitment is being conducted by Arunachal Pradesh Police for 113 constable (driver) posts. Arunachal Pradesh Public Service Commission (APPSC) has announced vacancies for range forest officer (33 posts), joint block development officer (03 posts) and Principal (02 posts). Variety of job options are open in the State of Assam: specialist doctor vacancy at CRPF, professor and other post recruitment at Tezpur University, Assistant executive post recruitment at APEDA, Dy Director and other recruitments at Assam public service commission and nurse recruitment under Central Government Health Scheme. Applications can be submitted either online or offline. In case of online application candidates are required to visit the official site and apply using scanned copies of important documents along with the prescribed application fees. For offline application submission, candidates have to submit their details through post (registered/ speed) or even through courier. The procedure for submission of fees (if asked for) can be found from the detailed notification.